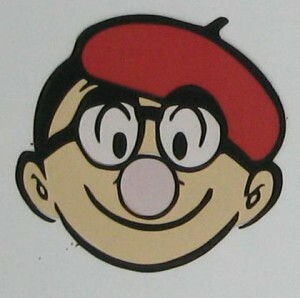 And that clip is also available on “Le Gros Terry” corner of our “Cool Tours” site which you can visit by clicking on the banner of Cool Tours on the top part of this homepage of Tenaki-japan here; http://japan-cooltours.com/ . We,Cool Tours can arrange and provide you with a trip in Japan including a plan to visit Nadeshico Sushi and other interesting stores and places in Akihabara, the mecca of Japanese subculture and other attractions. You can contact us via the contact form on our site, so, please feel free to ask any questions regarding your plans of visiting Japan. We can arrange a creative trip plan upon your request and we really look forward to your contact with us all the time. 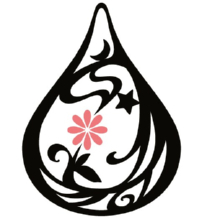 You will have an opportunity to talk to the Nedashico’s female sushi chefs, some of whom are voice actors, idols, actors, and others in person in our travel. You can find in the clip quite interesting interviews of the female staff and the owner of the unique sushi restaurant , through which you can learn the pleasant and unique atmosphere. 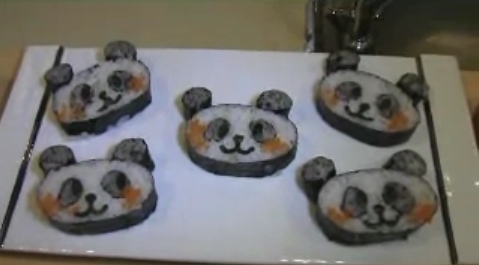 In the clip one Chinese sushi chef speaks in English, Chinese, and Japanese. She explains the uniqueness of the restaurant referring to the meaning of the name of a flower Nadeshico, the fact all staff is female and such a sushi restaurant is very rare, and asks you to visit Nadeshico Sushi as many good people visit it for Akihabara is a paradise to Otaku culture fans in Chinese. Exit Kami-igusa Station on the Seibu Shinjuku Line and you will be face-to-face with a bronze ‘Mobile Suit Gundam’ statue. 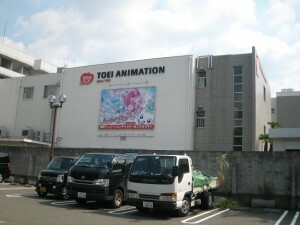 Kami-igusa is the location of Sunrise, the anime studio which produces ‘Gundam’. Sunrise, Inc. ,is a Japanese animation studio and production enterprise. It is a subsidiary of Namco Bandai. 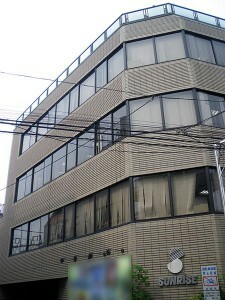 Its former name was Nippon Sunrise, and prior to that, Sunrise Studios. Its headquarters is located in Suginami Tokyo.Town flags feature ‘SD Gundam’ motifs, and Gundam are drawn onto store’s shatters as well. Mobile Suit Gundam,, lit. Mobile Soldier Gundam, also known as First Gundam, Gundam 0079 or simply Gundam 79) is a televised anime series, created by Sunrise. Created and directed by Yoshiyuki Tomino, it premiered in Japan on Nagoya Broadcasting Network on April 7, 1979, and lasted until January 26, 1980, spanning 43 episodes. It was the very first Gundam series, which has subsequently been adapted into numerous sequels and spin-offs. Set in a fictional universe in the Universal Century year 0079, the Principality of Zeon has declared independence from the Earth Federation, and subsequently launched a war of independence. The conflict has directly affected every continent on earth, also nearly every space colony and lunar settlement. Zeon, though smaller, has the tactical upper hand through their use of a new type of humanoid weapons called mobile suits. After half of all humanity perishes in the conflict, the war settled into a bitter stalemate lasting over 8 months. The story begins with a newly deployed Federation warship, the White Base, arriving at the secret research base located at the Side 7 colony to pick up the Federation’s newest weapon. However, they are closely followed by Zeon forces. A Zeon reconnaissance team member disobeys mission orders and attacks the colony, killing most of the Federation crew and civilian in the process. Out of desperation, citizen boy Amuro Ray accidentally finds the Federation’s new arsenal—the RX-78 Gundam, and neutralizes the situation. Scrambling everything they can, the White Base sets out with her newly formed crew of civilian recruits and refugees in her journey to survive, and unknowingly, change the course of the war. The series was later re-edited for theatrical release and split into three movies in 1981. The characters were designed by Yoshikazu Yasuhiko and Kunio Okawara was responsible for the mechanical designs, including the titular giant robot, the RX-78-2 Gundam. When the first movie was released on February 22, 1981, it was regarded as the new age of Anime and an event called Declaration of new age of Anime in Shinjuku and director Tomino delivered a speech questioning the then social concept in which stereotypical Anime was portrayed as being bad and poorly made to the gathered 15,000 youngsters. The series was the first winner of the Animage Anime Grand Prix prize, in 1979 and the first half of 1980. By the end of 2007, each episode of the original TV series averaged a sales figure of 80,928 copies, including all of the different formats it was published in (VHS, LD, DVD, etc.). The first DVD box set sold over 100,000 copies in the first month of release, from December 21, 2007 to January 21, 2008. As part of the 30th Anniversary of the Gundam series, the company officially announced a project on March 11, 2009 called Real-G, a plan to build a 1/1 real size scale Gundam in Japan. It was completed in July, 2009 and taken down later. The 18 meter tall statue was reconstructed in Shizuoka Prefecture and will remain until March 2011. 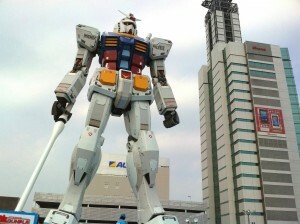 We are very happy to introduce “Gundam-town in Suginami”. If you have something to ask or need to hire an English speaking tour guide, please feel free to contact us. Thank you for your kind cooperation, we are looking forward to your contact. 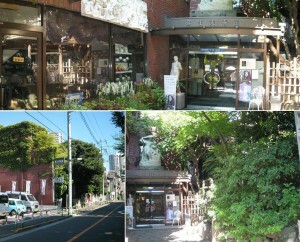 The Saitama Municipal Cartoon Art Museum was built on the site where Japan’s first professional mange artist, Rakuten Kitazawa lived in his later years. 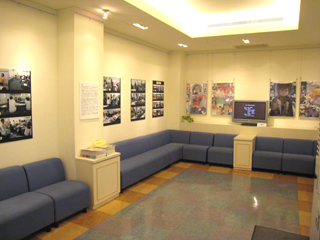 The museum is Japan’s first museum dedicated to cartoons. Over the years the Saitama Municipal Cartoon Art Museum has held various programs, such as exhibitions of Rakuten’s works and personal belongings and the Saitama City Citizens’ Manga Exhibition. 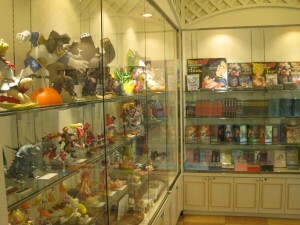 Displays and planned exhibitions with belongings and works left by Rakuten Kitazawa are held several times a year in order to spread cartoon culture. The exhibition hall is split over two floors with the first floor displaying achievements, works and other item associated with Rakuten. The second floor displays a wide range of cartoons in special exhibitions of modern and contemporary cartoon works. There is also a well-kept Japanese garden which can be enjoyed in all four seasons. Rakuten Kitazawa, was a Japanese cartoonist and a Japanese-style painter. He is considered by many historians to be the founding father of modern Japanese cartoon because his work was an inspiration to many younger cartoonists and animators. He was the first professional cartoonist in Japan, and the first to use the term “manga” in its modern sense. He studied western-style painting under Ohno Yukihiko and Japanese-style painting under Inoue Shunzui. In his 19 years old, he joined the English-language magazine Box of Curios in 1895, and started drawing cartoons under an Australian artist Frank Arthur Nankivell, who later immigrated to America and became a popular cartoonist for Puck magazine. When he became 23 years old in 1899, he moved to another newspaper called ‘Jiji-shinpo’ a daily newspaper founded by Yukichi Fukuzawa as a member of artists, Mr. Fukuzawa asked him to draw cartoons to make articles in his paper easier to understand. From January 1902, he contributed to Jiji Manga, a comic’s page that appeared in the Sunday edition. His comics for this page were inspired by American comic strips such as Katzenjammer Kids, Yellow Kid, and the work of Frederick Opper. His works of so-called ‘ponchi-e’ or ‘odoke-e’ in every Sunday issue became very popular. In 1905, Rakuten started a full-color satirical magazine called Tokyo Puck, named after the American magazine. It was translated into English and Chinese and sold in not only Japan but also in the Korean peninsula, Mainland China, and Taiwan. He worked for this magazine until 1915 (with the exception of a short period around 1912, during which he published a magazine of his own called Rakuten Puck), and then returned to Jiji Shimpo, where he remained until his retirement in 1932. In 1929, Rakuten held a private exhibition in Paris on the recommendation of the French ambassador, and was awarded the Legion d’honneur. During World War II, he was the chairman of the Nihon Manga Hoko Kai, a cartoonists’ society organized by the government to support the war effort. Both before and after his retirement, Rakuten trained many young cartoonists and animators, including Hekoten Shimokawa, creator of Japan’s first cartoon animation. Along with Ippei Okamoto, he was one of the favorite cartoonists of the young Osamu Tezuka. We are very happy to introduce ‘Saitama Municipal Cartoon Art Museum’. If you have something to ask, please feel free to contact us. Thank you for your kind cooperation, we are looking forward to your contact. Galaxy Express 999 (銀河鉄道999,) is a manga written and drawn by Leiji Matsumoto, as well as various anime films and TV series based on it. The number, “999”, in the title is pronounced “Three-Nine”, as opposed to “Nine-Nine-Nine” or “Nine hundred ninety nine”. The story depicts the adventures of the main characters Tetsuro and Maetel as they travel to various planets on the space-travelling locomotive, Galaxy Express 999. It is set in a space-faring, high-tech future in which humans have learned how to transfer their minds (but not their emotions) into mechanical bodies, thus achieving practical immortality. 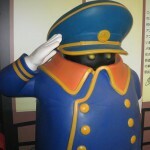 The Conductor is the main crew member of the Galaxy Express 999. He is an alien being with an invisible body; only his eyes can be seen while he is wearing his conductor uniform. The Conductor prefers to go ‘strictly by the book’ and frequently cites the Galaxy Express rule book, but occasionally ends up bending the rules and getting into adventures with Tetsuro and Maetel. 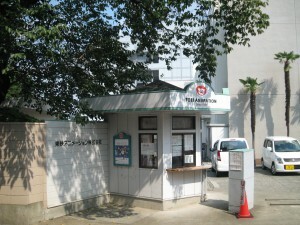 As a certified guide-interpreter in English and also a writer of the website “Cool Japan Guide”, I am very happy to introduce “Oizumigakuen Station” and “Toei Animation Gallery”. If you have something to ask, please feel free to contact us. Thank you for your kind cooperation, I am looking forward to your contact. Osamu Tezuka (手塚 治虫 November 3, 1928 – February 9, 1989) was a Japanese manga artist, an animator, a producer, and a medical doctor, although he never practiced medicine. 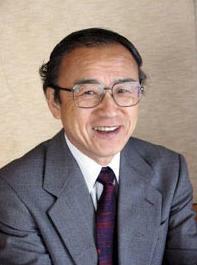 Born in Osaka Prefecture, he is best known as the creator of Astro Boy, Kimba the White Lion and Black Jack. He is often credited as the “Godfather of Anime”, and is often considered the Japanese equivalent to Walt Disney, who served as a major inspiration during his formative years. 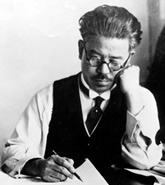 His prolific output, pioneering techniques, and innovative redefinitions of genres earned him such titles as “the father of manga”, “the god of comics” and “kamisama of manga”. There are two interesting spots related to the God of mange in the Tokyo metropolitan area. The God of manga in Japan, Osamu Tezuka’s own company Tezuka Production is in Takadanobaba, Shinjuku Ward. Takadanobaba is also known as the setting of “ASTRO BOY.” The characters of Osamu Tezuka are used as regional currency here, ornamenting such places as the wall along the shopping street which runs underneath the town train tracks. Astro Boy, a fictional character created by Osamu Tezuka in 1952, was supposedly “born” in Takadanobaba on April 7, 2003. In commemoration, starting in 2003, the JR platform uses the theme music from the TV series to signal the departure of a train. Also, many lamp posts in the area carry pictures from the TV series, and two large murals depicting Tezuka’s works are across the street of JR Takadanobaba Station. “ASTRO BOY,” work of the God of manga, Osamu Tezuka. Turned into an anime in 1963, “ASTRO BOY” boasts immense popularity. The story stars Astro, a robot with feelings. Trapped between being a robot and a human, Astro struggles to find a balance between the two. Tezuka Production, the studio which created “ASTRO BOY,” is located in Niiza City, and in honor of this the city has awarded Astro with special residential status on the year when Astro was born, 7 April, 2003. Additionally, the city adorns street seals with the image of Astro and hosts a stamp collection rally each year starting from Niiza and Shiki Stations. Post card with date stamp is given from the museum. Lucky Star (らき☆すた,) is a Japanese four-panel comic strip manga by Kagami Yoshimizu. The strip has been serialized in Kadokawa Shoten‘s Comptiq magazine since January 2004. Cameo strips were published in other magazines such as Shōnen Ace and others. 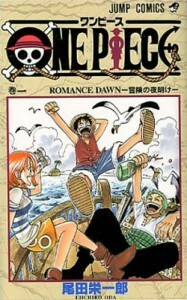 Like many four-panel comic strips, it has no ongoing plot, and typically focuses on the daily lives of the characters. 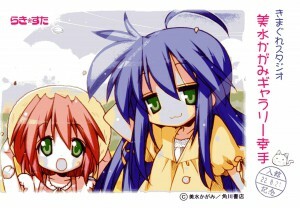 Lucky Star’s story mainly portrays the lives of four Japanese girls attending a Japanese high school. The setting is mainly based on the city of Kasukabe in Saitama Prefecture. The main character is Konata Izumi, an athletic and somewhat intelligent (even though she likes to copy), but also slightly mischievous and laid-back girl who, despite these attributes, is not in a sports club and has to resort to all-nighter cramming for tests. She would rather read manga and play video games than do her homework. Akihabara UDX 4F, 4-14-1, Soto-kanda, Chiyoda, Tokyo, Japan. Have you ever stayed with someone’s house before? Actually I have experienced in New Zealand when I was a student. It was the best experience I have ever had in my life at that time. As an English speaking guide, I would like overseas visitors to enjoy staying with our ordinary people’s home time to time while you are here in Japan. Unfortunately, home staying should not be a business here in Japan according to our current law. People like me, wanting to overseas visitors to stay at our home, covering the cost, cannot be acceptable. No pay, OK. Therefore it is very difficult to find home-staying experience in Japan. However, you still have a chance to stay at one of ordinal people’s home!! Why don’t you plan a couple nights stay at Utsunomiya, Tochigi. Be my guest!! I can accommodate up to two people, ideally for a couple (husband and wife). 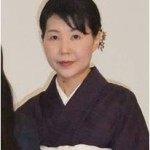 I will take you to the world renowned Shrines and Temples of Nikko (World Heritage) and Nikko National Park by my car. If you love to see Potteries, I will take you to Mashiko where you can see Shoji Hamada’s great work. If you wish to play golf, I will arrange the game for you. Of course I will take you to the golf course and I might be playing with you if you want to. You have to try to sleep on Tatami mat. You may feel Futon a little bit hardish but good to your back, I guess. You have an opportunity to try authentic Japanese family cuisine both breakfast and dinner. I　suggest you to buy JR pass before you come to Japan. I will pick you up at the JR Utsunomiya station and I will see you off there. To conduct above, all you have to do is just hire me a couple days.Currently my guiding fee is 30,000 yen per day. I hope I will see you soon. Now, here we are starting “Cool Tours”, a new project of providing YOU with “REAL” COOL TOURS IN JAPAN ! Thank you very much for your kind viewing of our Tenkai-japan website. Here, we are now starting a new project of “Cool Tours” by “Cool Tour Guides” FOR YOU, THE READERS OF THIS TENKAI-JAPAN WEBSITE ! This new project is about travel agent services of tours in Japan for those who would like to visit Japan and enjoy our country and its various attractions. This ” Cool Tours” project is designed especially for readers who kindly read entries about cool Japan written by our writers on this website. For you who get inclined to come to Japan and visit places described in some entries here or experience the events referred to in some entries here, this new service project of ours will be surely helpful. Those “real experiences” and “live events” in the tours we would provide you with are available in the reality ! Each tour of ours for you will be guided by a professional tour guide who is a certified guide-interpreter in English (or some may be of other languages as well) ,some of whom are writers of entries of Cool Japan of this website as well. From now on, we shall suggest our tour plans here in the category of this “Cool Tours” , writing and posting one plan for one entry as a ” Tour Plan” sequentially. If you take an interest in any of our ” Tour Plans” , then please contact us or the guide in charge of the plan via email. At the onset, we shall propose our first ” Tour Plan” of “IMPERIAL PALACE EAST GARDEN ” as written below. Thank you for your kind cooperation, we are looking forward to your contacts with us.